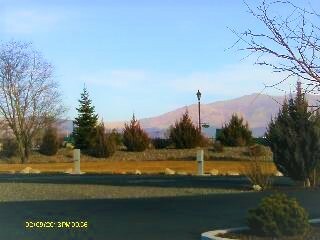 Tahoe/Douglas lodge meets at 1227 Kimmerling road Gardnerville Nevada. We are 30 minutes south of Carson City, Nev. and 20 miles east of Lake Tahoe.When entering Minden, NV from the North on Hwy 395 veer right onto Hwy NV 88 proceed approximating 3 miles turn left onto Kimberling Road. Proceed approximately 2 miles, lodge is on the right. Meetings, Birthday Parties, Wedding Receptions, etc. We offer 5 RV spaces with electrical service only. Water is available on site. Dump facilities are available in town, approximately 3 miles. We also have free Wi-Fi available. Come on guys, we're in the middle of the desert. There's plenty of boating and marina facilities at Lake Tahoe 20 miles over the hill or at Topaz Lake which is south of Minden. While Tahoe/Douglas Lodge doesn't have its own Golf Course, we are located within an hour drive of more than 6 championship golf courses. Public swimming pool with both indoor and outdoor pools. Water slides. Fun for the whole family. Located on Hwy 88, Minden, Nev.